The Fort Lauderdale skyline. Some Broward County residents pay more than half their monthly income on rent. Voters will decide on creating an affordable housing trust fund in November. Broward County is the most cost-burdened area in the country, according to a Harvard study. Residents are paying more than 30 percent of their monthly income on rent alone. Listen to the Oct. 19, 2018 episode of the South Florida Roundup here. Reporter Caitie Switalski is featured in the second segment, 11:00-24:00. The county commission met this week to discuss the problem of affordable housing. Commissioners are considering creating a trust fund – sort of like a “lock box” specifically targeted for housing programs. Broward voters will vote on a county amendment that would create the trust fund. WLRN’s Broward County reporter Caitie Switalski explained the ballot question on the South Florida Roundup, hosted by Tom Hudson. WLRN: How would this trust fund work if okayed by voters this fall? SWITALSKI: The county commission has said, at least right now, they're going to dedicate $5 million a year for three years for affordable housing projects. If this trust fund gets created, then that's where that money will go. A study from Harvard's Joint Center for Housing Studies found a larger amount of Broward County residents to be severely cost-burdened than any other metro area in the U.S.
And instead of just having the county commission set aside funds that could potentially be picked over, if something comes to shove during budget negotiations, this is a much more secure place to store them. It's a fancy storage situation – you take away a lot of risk for investors. The hope is that it grows from sources outside of the county commission. Where does the initial $5 million a year, $15 million over three years, come from? Does it come from the general fund? Or is there a specific source of revenue that the county is counting on? It's coming from what they've already got in the budget. Why go this route toward a trust fund? We've seen something similar on the state level. For instance the Sadowski trust fund, which is a state housing affordable trust fund. The trust fund hasn't been criticized, but lawmakers' behavior toward the trust fund has been criticized as raiding it for various purposes, like environmental and general fund purposes. This is kind of Broward County's local model of a more secure Sadowski fund. Local governments get really frustrated when they put money into this Sadowski fund at the state level and they don't get money back. So, this is more of a local government solution to a state government problem. They've written this amendment to be something where you cannot under any circumstances go in and take this money for anything except affordable housing. 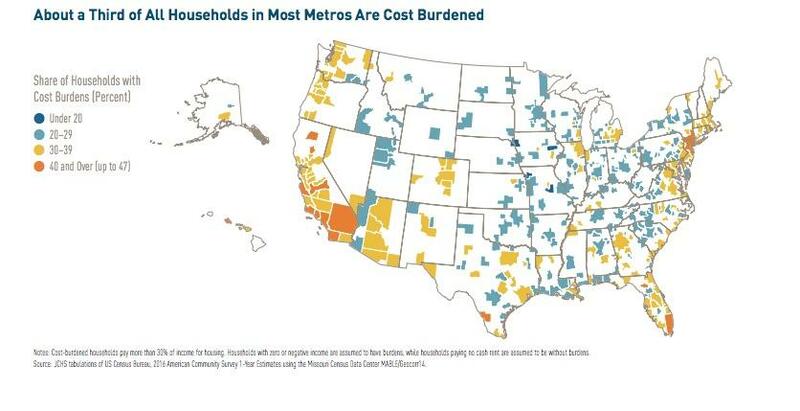 The majority of households in Broward County are cost-burdened. That means they’re paying more than 30 percent - in some cases more than 50 percent - of their monthly income on rent alone. And buying a house in Broward is more expensive than in other parts of South Florida. The median home price is $340,000, while the median income for a family of four is $64,100. Jorge Pérez has built hundreds of condominiums in South Florida since the last housing market collapse. In fact, he has built thousands of condos in his career. They have fueled a multi-billion dollar fortune for him and reshaped the region’s skyline. His company, The Related Group, is not putting shovels in the ground right now though. He thinks real estate in South Florida is coming in for a soft landing, but not because the American economy is softening. Real estate broker Gabriel Miranda thought it could take a while to sell unit 905. The vacant condo is in Echo Brickell, a recently-built, sleek residential tower that overlooks Biscayne Bay and Key Biscayne. The building has elevators for cars, an enormous aquarium in the main lobby and a $42 million penthouse.